Optional Driver Insurance Coverage for Accidents and Injuries | Craven, Hoover, & Blazek P.C. Understanding automotive insurance policies can be quite complex. There are several stipulations, clauses, and hidden agenda in many types of insurance agreements. It is important for you, as a driver, to fully understand your motorist insurance coverage so you can know exactly how you are covered in the case of an accident or injury. You can also consult an Indianapolis personal injury law firm for more information about motor vehicle accidents and injury claims. 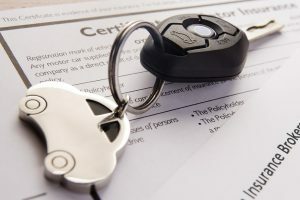 Continue reading to learn about liability limitations, and the types of motorist insurance coverage everyone should have for added protection on the road and behind the wheel. Liability limitations dictate the amount of money that will be available by the insurance company, to compensate a person in the event that you injure them in a motor vehicle accident. These parameters are usually set once a policy is purchased. These limitations will differ from person to person, depending on the type of policy purchased and a person’s individual and driving records. 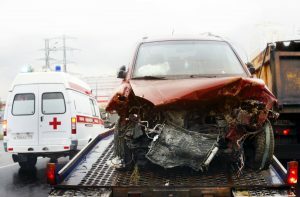 Liability limitations are meant to protect your personal savings, funds, and assets from being liquidated in order to pay compensation to an injured driver after causing a motor vehicle accident. It is recommended to purchase higher limits if you have several or significant assets to protect. In Indiana, a driver must have the state minimum liability coverage in order to legally operate a vehicle. This minimum is 25/50/10, meaning $25,000 per person (yourself and your vehicle), $50,000 per accident and all injured parties, and $10,000 for property damages per accident. So most policies offer this as standard coverage in their most basic policies. However, the state minimum is very low; so it is strongly encouraged to add more coverage to your motorist policy. There should be enough coverage to pay for a person’s vehicle damage, bodily injury, and subsequent financial obligations or losses resulting from their injuries; such as lost wages, rehabilitation costs, medical expenses, hospital bills, and more. Under-insured and un-insured insurance coverage is vital for anyone who drives on a daily basis. In the case that someone negligently causes an accident, and they do not have sufficient or valid insurance, you could be stuck paying for the damages yourself; unless you have this additional coverage. If an un-insured or under-insured driver hits you and causes you injury, this additional coverage will be available to clean up the mess, financially. If a person with not enough insurance coverage causes you $30,000 in hospital bills and vehicular damages, but their policy only covers $25,000, your UM insurance coverage will cover the rest so that you don’t have to pay out of pocket for your expenses. This is very important insurance coverage to have, for yourself and for your family. Medical payments coverage is critical in the case of a serious motor vehicle accident. Although optional, many drivers opt for this additional coverage in order to cover all medical expenses and hospital bills, regardless of who is at-fault. One key benefit to Medpay is that it will pay for your medical expenses while treatment and care is ongoing. This minimizes a person’s out-of-pocket payment obligations, and eliminates the need to wait for reimbursement. Also, your insurance company does not need reimbursement if you are not made whole through the liability settlement. It maximizes a person’s “net” settlement because insurance companies base their offers on total amount of medical bills, not outstanding balances. Call Craven, Hoover, and Blazek P.C. at 317-881-2700 for car accident injury claims in Indianapolis, Indiana. Attorneys, Daniel Craven, Ralph Hoover, and Keith Blazek retain extensive trial and litigation experience in personal injury law. Our personal injury law firm offers free initial consultations and never collects lawyer fees unless we win your settlement. Call 317-881-2700 to schedule your consultation for personal injury claims in Indianapolis, IN today. This entry was posted in Car Accident Lawsuits, Personal Injury and tagged car accident injury, car accident injury claims, Insurance Policies, Liability Limitations, medical payments coverage, medpay, personal injury claims, Personal Injury Law Firm. Bookmark the permalink.